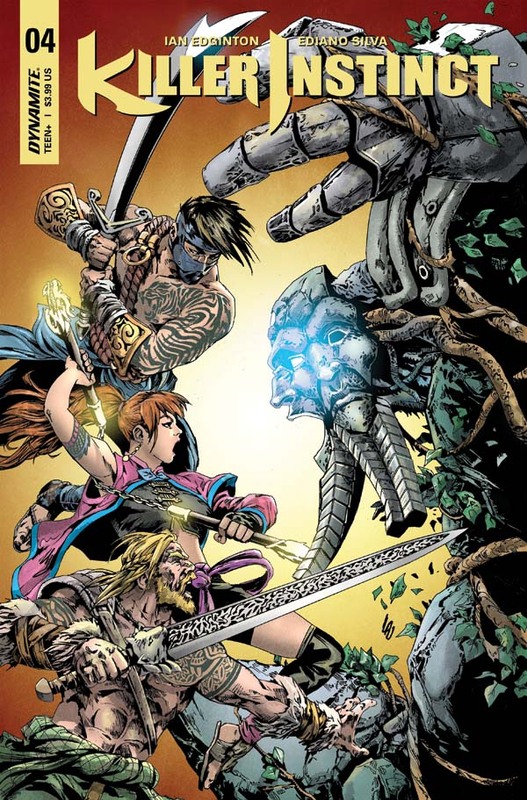 Kim Wu, Jago and Tusk join forces to seek out the war-golem Aganos and the location of the legendary Lost Forge. Here is the only place on Earth where they can gain access to the Astral Plane-the dimension where someone or something is draining the powers of the Guardian Spirits. Kim Wu and her companions are unaware, however, that the Coven is tracking their every move, bent on slaying them before they can cross over. 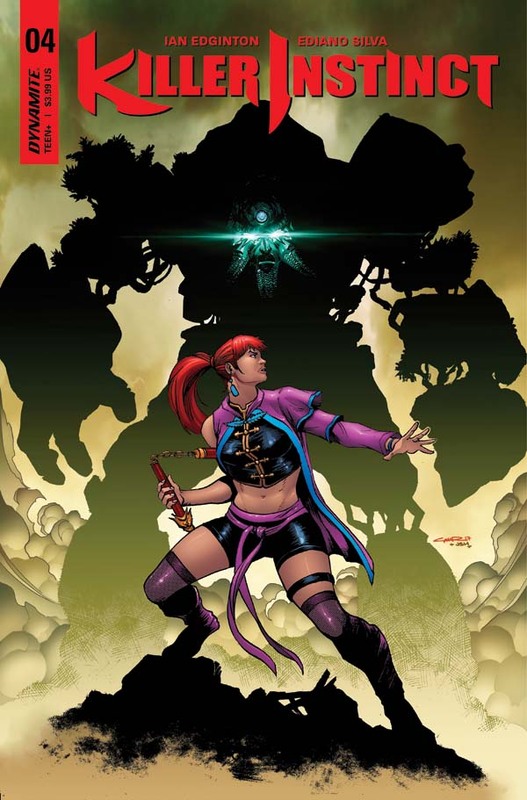 Embarking on the fourth issue of the fresh new series Killer Instinct, written by Ian Edginton accompanied by ridiculously entrancing art work by Ediano Silvia, is a journey worth experiencing. Kim Wu, Jago, and Tusk have arrived at an island in which they search to find and rescue an old friend they believe will be useful in their rebellion against the enemy. However, their mission leads to a stream of unexpected events and provokes a thirst that will keep the reader chugging. Considering the series is only four issues along the opportunity to get in on this comic is a must. 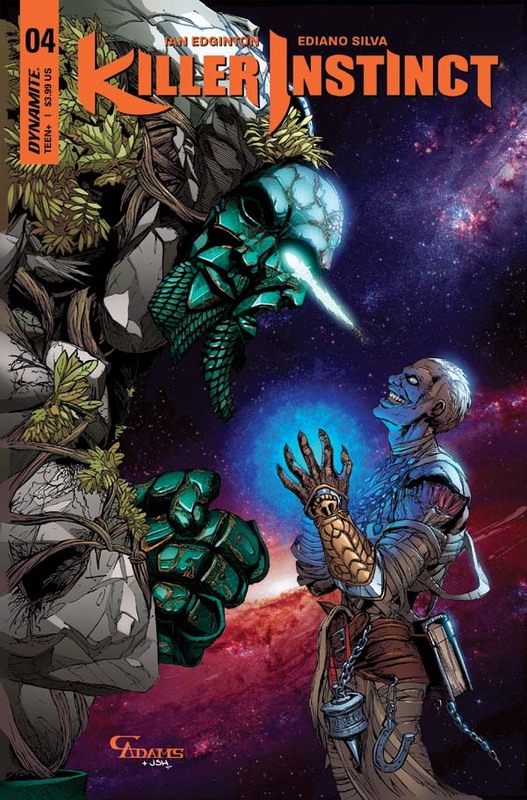 Reading Killer Iinstinct #4 was tons of fun but doesn’t just rely on pretty colors. Each character has such a unique character design that is truly representative of that specific character’s personality. While the art is creative, the lore of the world itself is an inciting mixture of several well-beloved genres of storytelling. Fantasy, super natural, and technological are just a few of the flavorful elements that Edginton has crafted into a great young series of comic awesomeness. Great review here, clear I’ve been missing out with this title.